At Abble Awning, we are here to help you create a comfortable and relaxing environment in your own backyard. Adding a gazebo can be a terrific way to enhance the beauty of your backyard, while providing relief from the sun. Whether you are looking to provide shading options for small groups of people or for large groups, we can meet all of your gazebo-style awning needs! Don’t let a great outdoor afternoon get ruined by the intensity of the summer sun. Find the perfect shade protection for you and your guests, and beat the summer heat! Our gazebo and awning fabrics are much more fade-resistant and moisture-resistant than the competition, and can provide you with several years of shade protection. 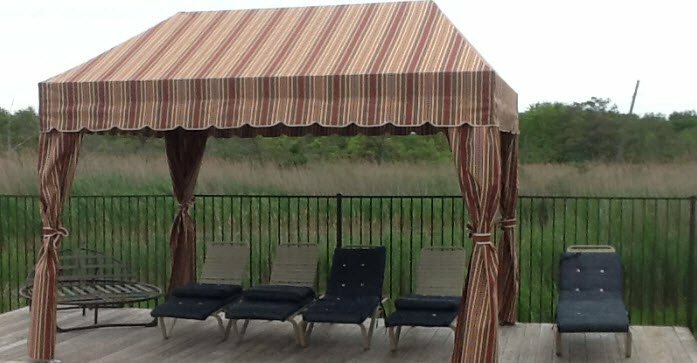 Call our office today at (516) 822-1200 and schedule your free estimate from one of our gazebo-style awning experts!